The elite men begin the race on Monday. 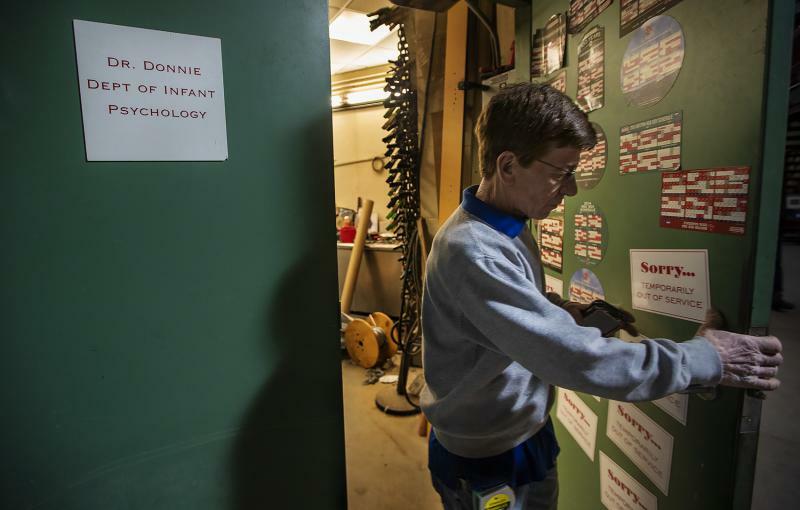 It was the sixth anniversary of the deadly Boston Marathon bombings. 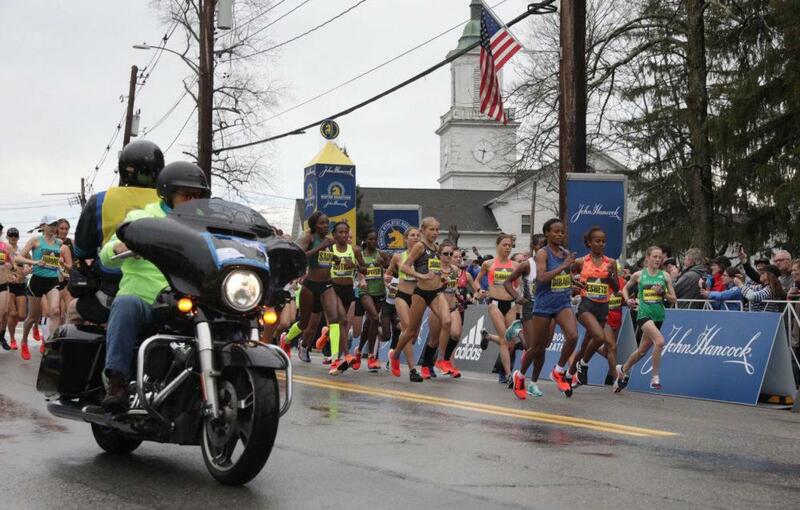 The elite women take off from the starting line for the Boston Marathon. 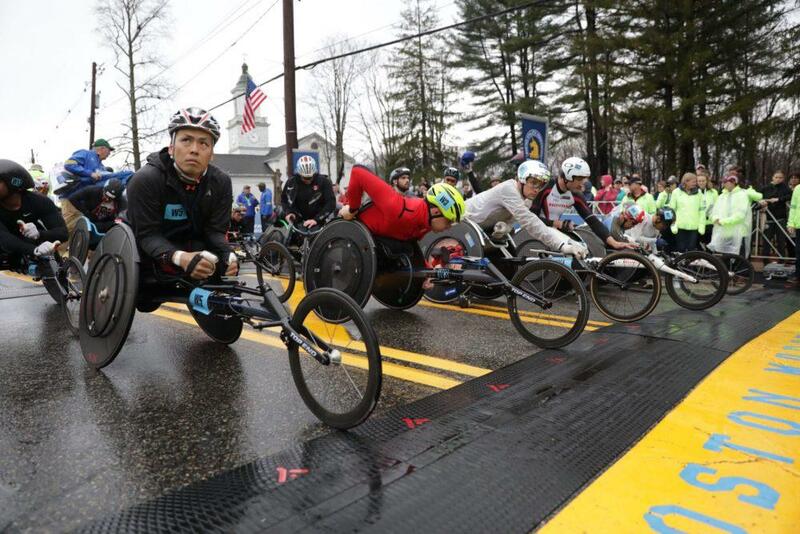 Men's wheelchair racers line up at the Boston Marathon starting line in Hopkinton, Massachusetts. Meb Keflezighi, who won the 2014 Boston Marathon, waits at the starting line ahead of the 2019 race. Boston police set up barriers along Commonwealth Avenue in Kenmore Square before the Boston Marathon begins. Cherono crossed the finish line in an unofficial time of 2 hours, 7 minutes, 57 seconds. That was just ahead of Desisa, the 2015 champion, who came in at 2:07:59. Kenya's Kenneth Kipkemoi was third at 2:08:06. Kenya's Felix Kandi was fourth and 2017 champion Geoffrey Kirui was fifth. Cherono, Desisa and Kipkemoi broke away during Mile 24 and were shoulder-to-shoulder heading into the final mile. They stayed that way until Cherono and Desisa made it a two-man race with about 200 meters to go. Desisa took the lead and appeared headed for victory before Cherono got on his left shoulder and outlasted him to the tape. 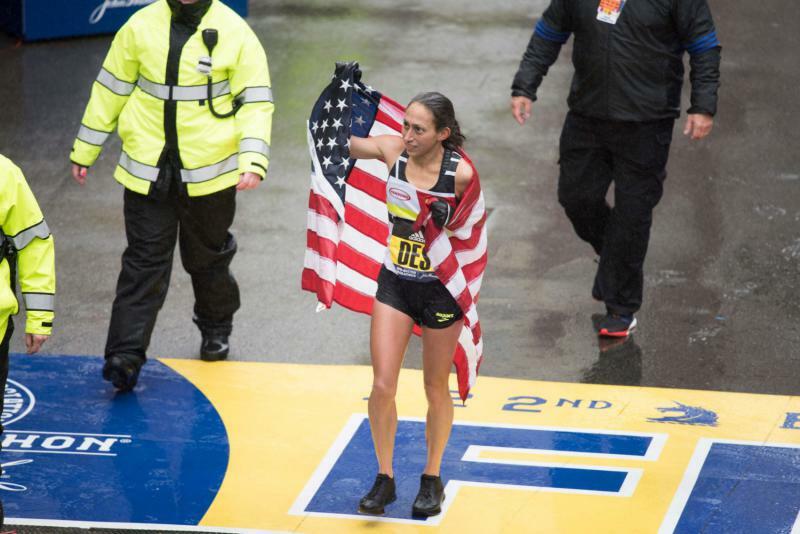 Degefa crossed the finish line in Boston's Back Bay in an unofficial time of 2 hours, 23 minutes, 30 seconds. She is the eighth Ethiopan woman to win the race, and the third in seven years. It's her first major marathon victory. She won the Dubai Marathon in 2017, setting an Ethiopian national record in the process. Daniel Romanchuk won the men's wheelchair race with the fastest time ever by an American. He crossed the finish line Monday in an official time of 1 hour, 21 minutes, 36 seconds. Manuela Schar, meanwhile, is on her way to a sweep of the World Marathon Major women's wheelchair races. She won Boston for the second time on Monday, finishing at 1:34:19 with no one else in sight. She is already the defending champion in Berlin, Chicago, New York and Tokyo. If she wins in London in two weeks, she will have swept the series. Romanchuk is the youngest winner of the race at 20 years, eight months and 12 days. He is the first American winner since Jim Knaub in 1993. He finished three minutes ahead of Japan's Masazumi Soejima, who was second at 1:24:30. Marcel Hug was third, coming in at 1:26:42. Romanchuk said, "I knew it was possible, it was just a matter of everything coming together." His victory breaks up the recent dominance of Hug and Ernst van Dyk, who between them have 14 Boston Marathon victories. Hug had won the previous four Boston races. This report includes information from The Associated Press and WBUR. Heading into last year’s race, Des Linden was one of three runners with a good chance to break that drought. She was 34 years old, a two-time Olympian with an impressive running resume. And she had nearly won the race in 2011, coming up two seconds short after a sprint to the finish. But she almost didn’t make it to the start of the 2018 Boston Marathon because of something that happened 10 months earlier, in July 2017, in a race on the other side of the world.